Between 2001 and 2010, ophthalmology’s workload is expected to jump 47% while US population increases only 17%. This dramatic swell in eye care is the result of baby boomers reaching retirement age. Without enough ophthalmologists, the shortage will present great opportunity for optometric practices providing medical care and properly positioned for success. As you know, PCLI doctors do not provide primary eye care. We believe community optometric physicians are the primary care experts and we are only here to help when you need us for secondary care and surgery. That said, let’s explore a few of the practice–success tactics employed by our most flourishing OD colleagues. Successful practices are built around well–trained staff. Patients like to become familiar with you and your team. However, this is not possible if there is a high turnover—which can often be the result of inadequate training and/or compensation. Successful practices generally incorporate careful hiring, good compensation, and benefit/incentive packages that lead to loyal staff and low turnover rates. Even though the doctor may not spend a lot of time with each patient, people faithfully return at recommended intervals. Why? 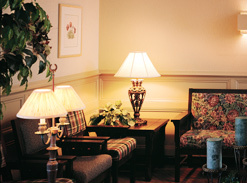 Because patients become attached to the practice through familiar, friendly staff and an organized, efficient clinic. Technicians can be used as chair–side assistants and scribes, saving the doctor valuable time in the exam room and improving efficiency. Technicians can write out prescriptions or e–prescribe, input recall information, and complete the office visit, procedure, and diagnosis codes. In some cases, techs may also be opticians or trained in contact lens insertion and removal. In addition to saving you valuable time, they are able to build bonds with patients throughout the office visit. By delegating common functions to support staff, doctors free up time to perform high level exams and focus on patient communication. Having two or three technicians per doctor trained to this level will greatly increase your efficiency. You will be able to see many more patients—and possibly work fewer hours. The extra revenue may allow increased compensation for better-trained technicians. This might seem aggressive, but if ODs are going to increase patient flow and clinic revenue, we must increase our use of ancillary staff. At PCLI, we certainly rely on our staff to perform common tests and procedures. Capable people thrive on increased responsibility. Our goal for delegation has always been to utilize each member of our team to the maximum of their training and ability. In general, ophthalmologists utilize medical diagnoses, medical codes and insurance at a much higher rate than optometrists. ODs may often miss opportunities. During “routine vision exams”, a large percentage of your patients will have subjective complaints and objective findings that are consistent with a medical diagnosis. When you identify a medical condition, schedule the patient back for further evaluation and bill their medical insurance using appropriate medical diagnosis codes. Medical findings warrant more follow–up care and highlight the health aspect of your valuable service to patients. Increasing your involvement in medical care will also increase your revenue. Consider soliciting referrals from primary care MDs—endocrinologists, rheumatologists, emergency physicians, and others. In the medical field, there is still a significant lack of understanding regarding the services optometrists are capable of performing and licensed to provide. If you are not already doing so, I encourage you to be more proactive in sending letters and calling fellow physicians. Explain the services you offer. Let your medical colleagues know you are competent and available for evaluation of a wide variety of ocular conditions and emergencies and that you will send them a prompt follow–up report. Instead of always sending patients to ophthalmologists for specialized care, consider referrals to another optometrist for challenging RGP fits, glaucoma management, or vision therapy. Even though we can’t legally call ourselves specialists, many optometrists practice to the full extent of their state’s laws and have a special interest and expertise in managing these special cases. As primary eyecare providers, we need to remain current with the latest research, drugs, and treatment strategies. In addition, we must also keep up with evolving medical equipment. Corneal topographers, pachymeters, nerve fiber analyzers, and optical coherence tomographers are all relatively new medical equipment that you’ll find in almost any ophthalmologist’s office. Such equipment not only increases revenue in terms of reimbursement, but it also instills a level of confidence in your patients. Once they see that you keep up with medical technology, they will trust you and will return to your office. Be aware of the image you project with your office furnishings. Be careful to avoid a cluttered appearance with frames and contact lens posters that make it look more like a retail establishment than a professional doctor’s office. Keep distractions to a minimum. Have a few name brands accessible, but let patients focus on the high quality of your services. Successful incorporation of these concepts into your practice will increase revenue and may boost your stature in the community. You will also be better prepared to handle increased medical care. At PCLI we certainly do not do everything right. But, if there is anything we do that you would like to imitate or follow, please feel free to visit our facilities, ask questions and talk to our doctors. We are more than happy to share things we have learned over the years.